Let’s set the stage with a hypothetical scenario: you are a member of your museum’s senior leadership team and your museum’s board of trustees just approved a strategic plan that includes expanding the museum’s footprint within the next ten years. Now comes the question that everyone asks, where do we start? If you are a museum professional, there is a strong chance that you might be involved in a museum building project someday. Maybe your museum is looking to expand its collections care facility or perhaps your museum wishes to simply renovate an existing gallery space. Either way, you are about to embark on a project that involves a lot of planning. Back to the scenario. Perhaps you are still pondering the question, “Where do we start?”. The process looks different for every museum. However, the Mid-Atlantic Association of Museums (MAAM) might be able to provide you and your team with some guidance. 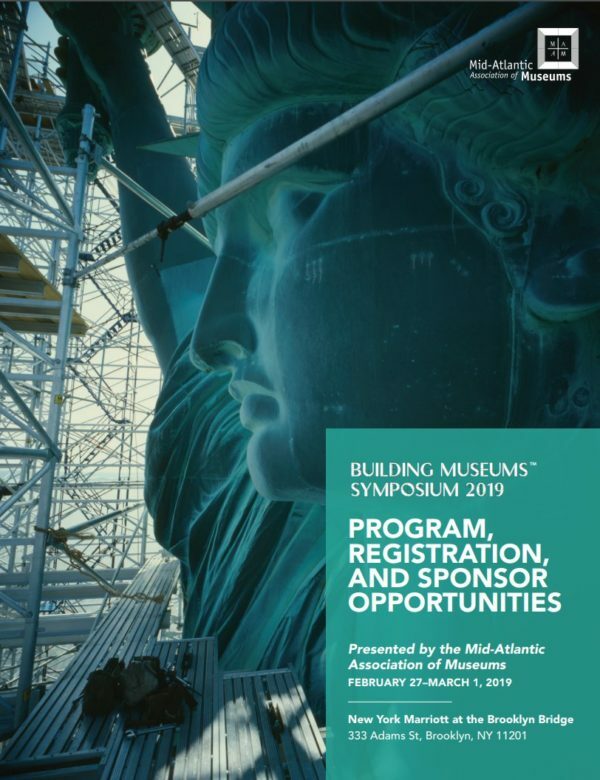 For the past fourteen years, MAAM has presented the Building Museums™ Symposium. This conference focuses three inter-related themes: Vision, Implementation, and Sustainability (or Life after Opening). This symposium is for architects, museum leaders, planners, project managers, technical experts, and all those who plan or implement new construction, renovation, or expansion projects for museums. 6. It is the only conference in the nation focused solely on building new spaces and new experiences for museums. All other museum conferences that you might attend will certainly have a session or two about building projects and new museum projects. There is nothing wrong with that model of conference, we just offer a more in-depth look at what it takes to complete a museum building project. Our sessions vary from fundraising for a capital campaign to integrating the latest technology into collections storage spaces to building an entirely new museum. 5. This conference is not just for museum professionals. You may meet your project manager at this conference. Many of the Symposium attendees include architects, engineers, contractors, exhibit designers, lighting providers, owner’s representation firms, and many more. These industry professionals come to learn from museums about their needs, and museum staff personnel come to learn about what the industry can offer their institution. 4. You can receive continuing education credits. Architects, need to earn more continuing education units? You can obtain American Institute of Architects credits for attending Building Museums™ tours, workshops, and sessions. Just bring your AIA number to the Symposium, we will have the AIA forms available for you. 3. It is a great networking opportunity. Since we host the only symposium in the nation focused specifically on building museum projects, we see projects from all over the nation (and the world!) Last year, we saw attendees from Great Britain, Canada, Hungary, and the Netherlands. We hold two receptions and a networking lunch where you can connect with colleagues about their projects. Who knows, maybe you will find a colleague that you can call a year or two down the road when you are at a stage in your project that they have already tackled. You can also visit up to 20 exhibitors in our Exhibitor Hall and learn more about the products and services that they can offer your museum. 2. You will learn a lot, and have a great time. Whether you are a small museum or a large museum, there is always something to learn by attending Building Museums™. You’ll also find that although we see between 300-400 attendees, that this is a very friendly and social group. Architects and engineers want to learn more about what museums need to succeed and museums professionals want to learn about what architects and service providers can offer their institutions and visitors. 1. Take action and set your project in motion! We’ve all attended conferences where aspirations run high yet we fail to implement the concepts learned or develop an action plan after the sessions. Gecko Group has over 25 years of experience collaborating with architects and museum leaders to take action and make big ideas a reality. We’re happy to collaborate with you on topics pertaining to design, fundraising, technology, fabrication, management or process. We can help you identify an action plan and take the next steps in bringing your vision to life. MAAM presents this conference to foster excellence in our museum community. Our goal is to provide the space in which museum professionals and industry providers can learn from one another, network with colleagues, and create relationships that can lead to amazing collaborations in the future. 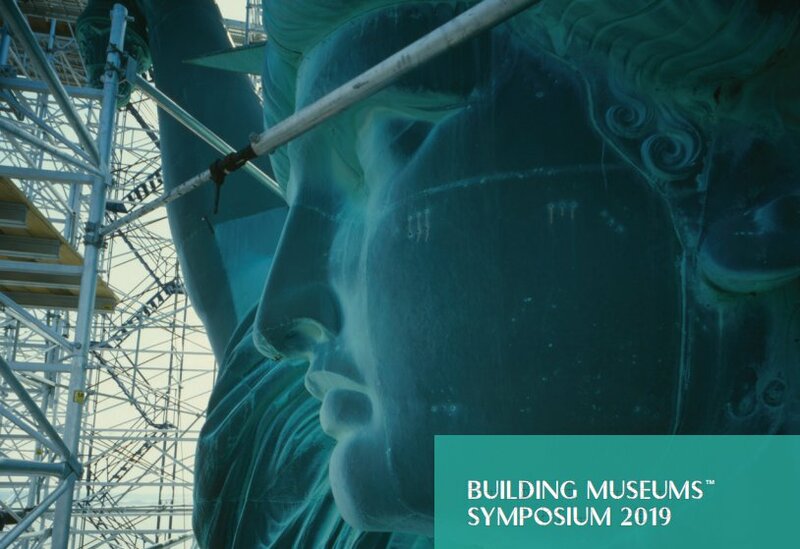 Gecko Group is a Gold Sponsor of the Building Museums™ Symposium. The Mid-Atlantic Association of Museums is a not for profit membership organization, founded in 1947. Our organization represents museums professionals, organizations, institutions and museum service providers, providing a forum to enhance the image of museums and educate individuals on an array of field specific study and programs. We chiefly represent those museum interests in Delaware, the District of Columbia, Maryland, New Jersey, New York and Pennsylvania. We bring together the resources of the Mid-Atlantic region’s museum community and make them available to our members through conferences, symposia, and workshops in your neighborhood. Averie Shaughnessy-Comfort began her time with MAAM as a graduate assistant/intern in August 2016. Since then, she has overseen MAAM’s sponsorship efforts, assisted with conference planning, as well as conference implementation and evaluation. She also planned a Cornerstone™ workshop, “New Ideas for Old Houses”, which focused on engaging communities with historic house museums. Her experience includes development and office management at the Otsego Land Trust, interpretation and programming at the Adirondack Experience, development at the Berkshire Museum, and advancement and institutional research for the State University of New York, College of Agriculture and Technology at Cobleskill. Averie holds a B.A. in English-Creative Writing from Saint Vincent College and a M.A. in Museum Studies from the State University of New York, College at Oneonta (Cooperstown Graduate Program).